Gotta love when celebs keep it ALL the way real. Model Naomi Campbell stepped into the clubhouse for an appearance on "Watch What Happens Live" and she did not disappoint. “No, it’s called an icon party, but there were no icons there," Naomi replied. Oop! Peep the clip above. She went on to say she was disappointed because she doesn't like seeing women in color, or women period, fighting. We'd like to note, BRAVO is mad shady for not including the 2nd clip of Naomi dishing on the fight. Versace'd down to the socks! 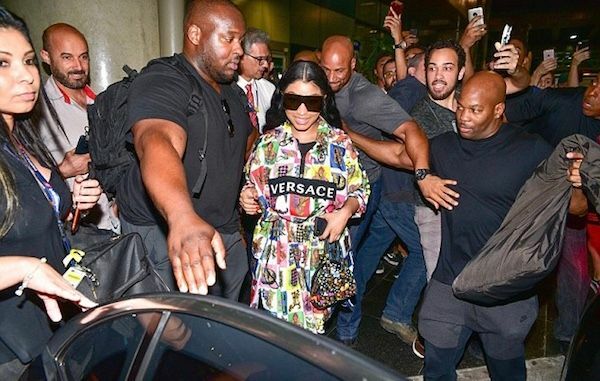 After making her rounds at Milan Fashion Week (and Dubai - more on that in a minute), the "Chun-Li" rapper touched down in Brazil ahead of a performance. She hopped off a plane at the Guarulhos International Airpor donning a colorful Versace dress fresh off the runway, paired with oversized Versace sunglasses. 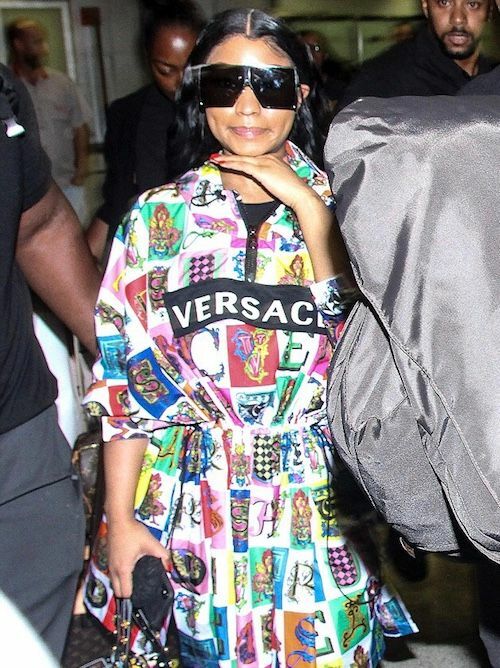 The 35-year-old jetted to Sao Paolo for her Tidal subscribers concert. "Thanks Brazil! I love you so much!," she captioned on Instagram. It was total mayhem when she arrived. 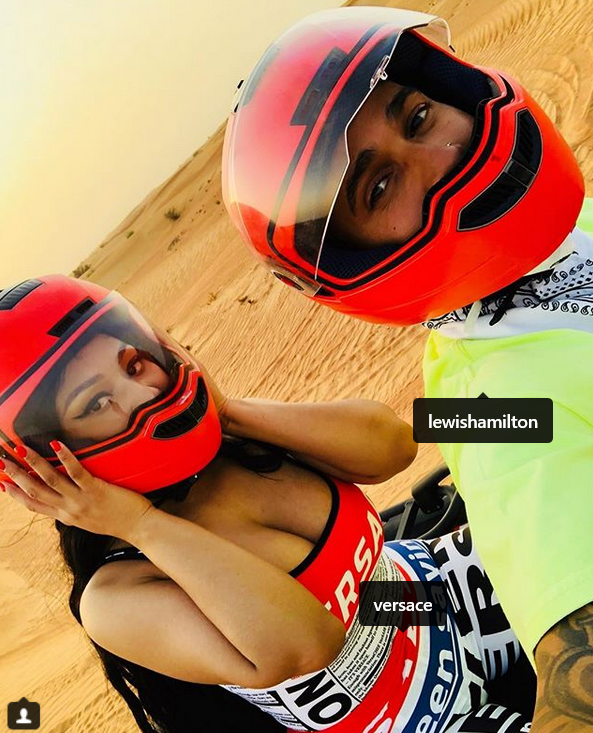 The Head Barb linked up with rumored boo Lewis Hamilton in Dubai. 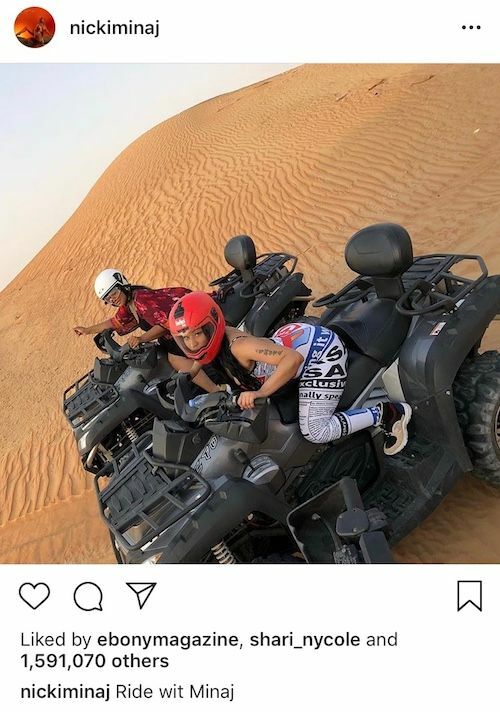 The two posted pictures of themselves riding ATV's in the sand dunes. No lovey dovey captions or anything, but it's clear Nicki wants people to think they're at least dating as she hasn't been shy about being all over him in pictures during NYFW and posting him on her social media. He recently posted her as well. "Caribbean tingz what I on. Me & Lewis gettin paper like what ink dry on. 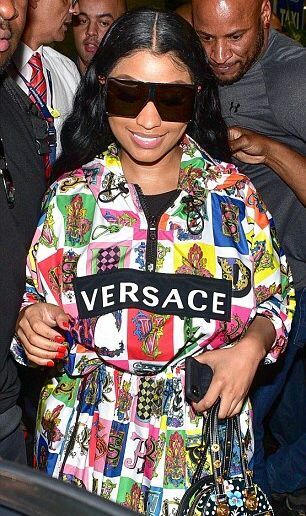 #Versace," the "Barbie Tingz" rapper captioned. 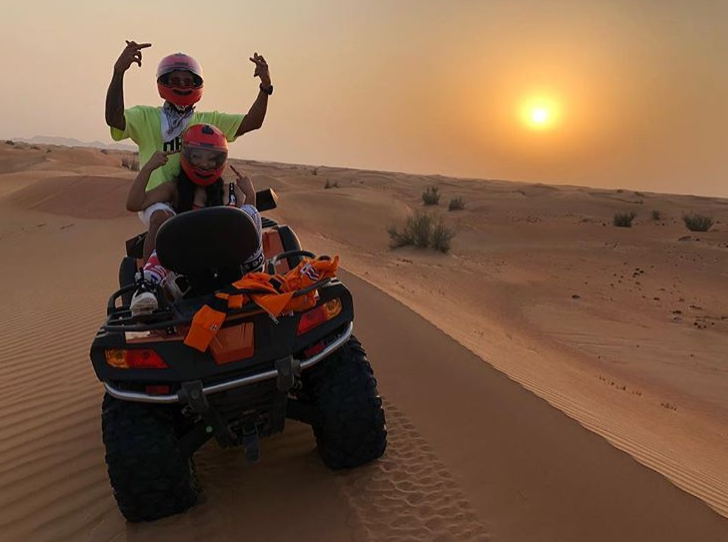 Lewis posted a picture of them riding through the sand dunes with the caption, "Riders." Nicki's homie/reality show Rah Ali also came along for the trip. 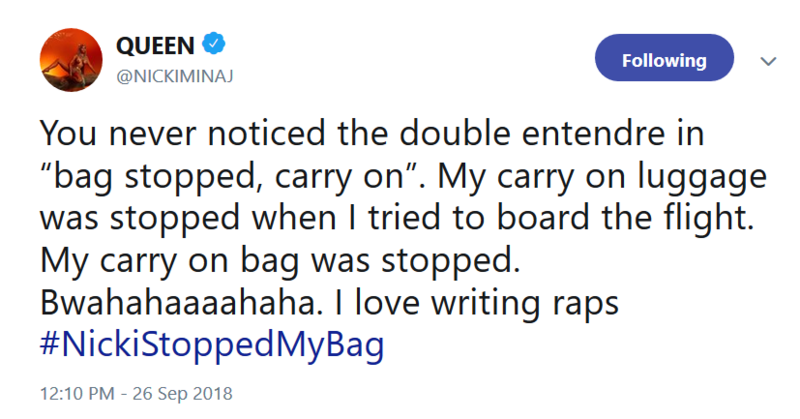 The "Anaconda" rapper has started the #NickiStoppedMyBag hashtag on Twitter and the Barbz are having a field day with it. 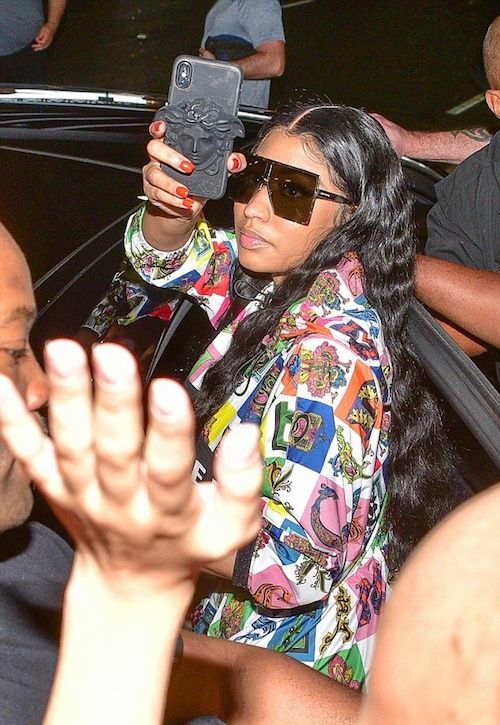 People are posting problems that have nothing to do with Nicki, but claims she's stopping their bag...sarcastically. So passive aggressive. 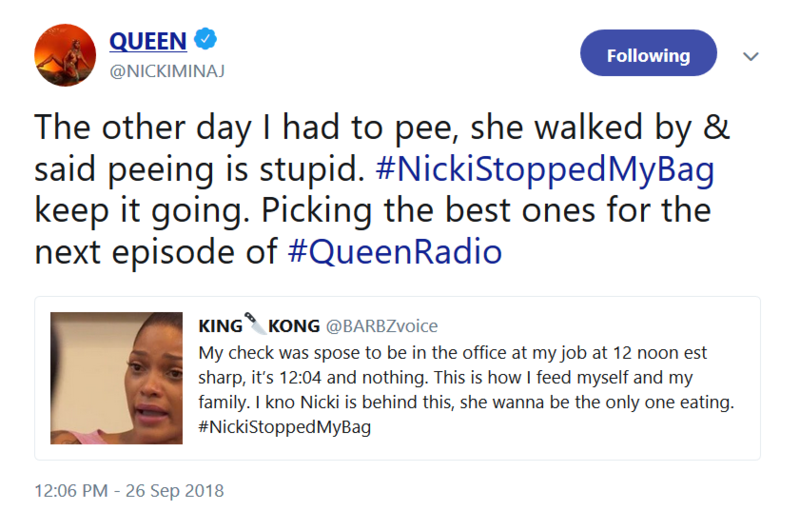 Nicki said she will adress this on her next episode of QUEEN Radio. 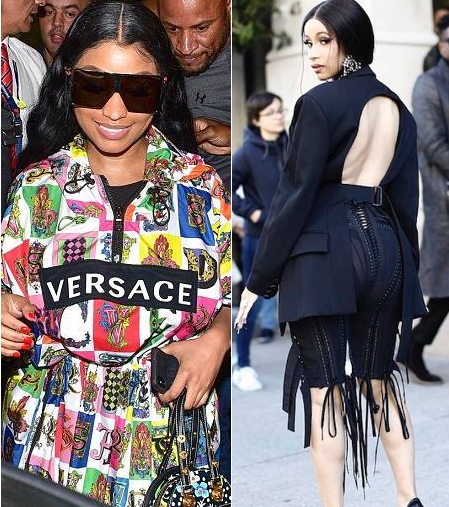 Cardi B, who celebrates a birthday next month, rolled up on the Mugler SS19 Fashion Show during Paris Fashion Week in an edgy Mugler ensemble paired with black Christian Louboutin pumps. Black leather, fridge and a cut out back is what she served up. She'll be making her first official post-pregnancy performance at the 2018 American Music Awards. Get the deets here. PREVIOUS: Meghan Markle Makes First Solo Royal Appearance & All Everyone Can Talk About Is Her Shutting Her Own Car Door + *Squints* Is That A Baby Bump?